The School of Science and Engineering Magnet is located at the Yvonne A. Ewell Townview Magnet Center. The Yvonne A Ewell Townview Magnet Center is home to the six magnet high schools. These schools are all located in the Dallas School District. The current principal is Jovan Carisa Wells, following the retirement of the former principal Richard White. The School of Science and Engineering Magnet offers many Mathematics and Science courses. Science courses offered range from the basics to higher level courses including Physics C and Chemistry. Higher level courses are taken as Advanced Placement courses (which allows the student chances to earn college credits). Tech courses allow students to be educated in Computer Science and the Java programming language. The academic programs offered at the school believe in a hands-on science education to give the students a more applied approach. The School of Science and Engineering Magnet is the only one in the country to offer concurrent lab classes. These lab courses allow students to be exposed to a college level lab experience coinciding with their AP Math and Science curriculum. The school of Science and Engineering Magnet is a highly-sought-after educational facility for students. At the same time The School of Science and Engineering Magnet is always looking to attract the best academic talent. All students who attend Dallas Independent School District schools are eligible to apply to and attend the school free of charge. After students have filled out applications, they are ranked by several criteria. The students that perform the best are chosen and then invited to attend the school. Many of the courses and academic opportunities at the School of Science and Engineering will further benefit students when they are applying to college. AP courses and other academic programs allow students to earn college credits while still in high school and save up to $3000 in college tuition. The School of Science and Engineering mascot is an eagle, and the school colors are maroon and white. There are many different extra-curricular clubs available to students, some of which are optional while others are required. There is also SAT training and prep offered to students to ensure their success into getting into the school of their choice. 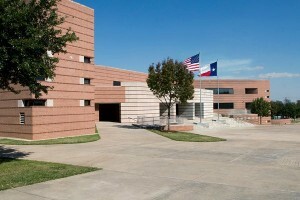 These clubs include, but are not limited to, the following; aerospace club, academic decathlon, UIL calculator team, choir, chess club, UIL computer science team, national honor society, UIL spelling team, and the ‘Big D’ marching band. The school has won a variety of awards and is regarded as one of the best schools for aspiring scholars. 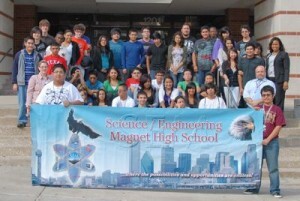 The School of Science and Engineering Magnet does not offer sports because of regulations for Magnet schools. Students do have the option to play sports at their home high school.